Florida law allows certain individuals to file a petition for an order of protection in situations involving domestic violence, but the process and implications for the accused can vary considerably. If you are facing allegations of domestic battery, you are probably confused about the proceedings and how the matter affects your rights. Because an order of protection can involve criminal charges, it is important to understand your circumstances. It is also critical to retain a Florida domestic violence defense attorney who will help protect your interests. You may be more familiar with the phrase “restraining order,” which is another term for an order of protection. This is an order issued by a judge, commanding you to cease in engaging in acts of domestic violence as alleged in the petition. When the accuser also seeks to file charges against you, the matter is a criminal order of protection. 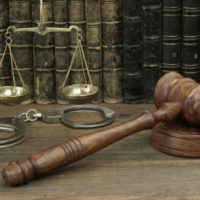 Therefore, you could be sentenced to jail time, fines, and other sanctions if you are found guilty of the allegations. Both civil and criminal orders of protection will include details on what you are prohibited from doing. Common terms are staying a certain distance away from the accuser and refraining from contacting the person. Under the circumstances, you may need to move from your current residence if you share a home with that individual. If you have children together, you may also be prevented from seeing or contacting them. When the order is criminal, you must attend court to defend yourself against the charges. You will have the opportunity to present evidence and witness testimony, and the prosecuting attorney must prove you guilty beyond a reasonable doubt. All an accuser needs to do to get an order of protection is file a petition and sign an affidavit describing the domestic violence incident. You may not get notice and be able to review the allegations until the order is issued against you. The process is subject to significant abuse because the petitioner could include false or misleading statements. If you are also involved in a divorce, your accuser may lie to get an edge with property division or child custody. If the allegations are untrue or exaggerated, you need to prove the petitioner’s dishonesty. You may also present evidence that the accuser also engaged in domestic violence against you, or that you were acting in self-defense. In addition, obtaining a civil or criminal order of protection requires strict compliance with court procedural rules. If your accuser did not comply with the laws, errors may lead to a dismissal of the matter. Florida laws are harsh on domestic violence, but you are still entitled to your day in court. It is essential to have an experienced defense counsel on your side to fight for your rights, especially with a criminal order of protection that carries considerable sanctions. To hear more about your legal options, please contact attorney Kevin J. Kulik to schedule a consultation at our Fort Lauderdale office.